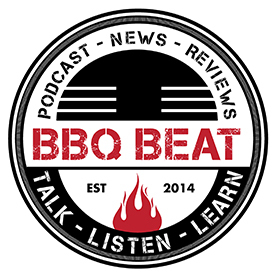 Last week, I was fortunate to spend time with Kevin Sandridge on his BBQ Beat podcast. My appearance was thanks to the immensely talented Craig Tabor of Big Green Craig. On a previous BBQ Beat episode, Craig was kind enough to mention me to Kevin and before you knew it, Kevin and I were recording a show. The published episode was actually our "second" episode, as Kevin had some insurmountable technical issues which required us to re-record. I believe the un-aired "dress rehearsal" paved the way for a really enjoyable hour-long chat on grilling, photography, and our early beginnings with food. Needless to say, we had a lot of fun. If you are not a subscriber, I encourage you to check out the other episodes (like Craig's!) and find a place for the show in a pod-catcher of your choice!